Essentially it means to pay attention. To consciously be in the present moment; it purposely engages you in the here and now. Further, by being mindful you thoughtfully create a mental space between you and your thoughts. It gives you the opportunity to be in tune with your feelings, what you are bringing to mind, and your reactions to those thoughts. This method of conscious awareness will help your employees sustain focus and cultivate high performance habits. 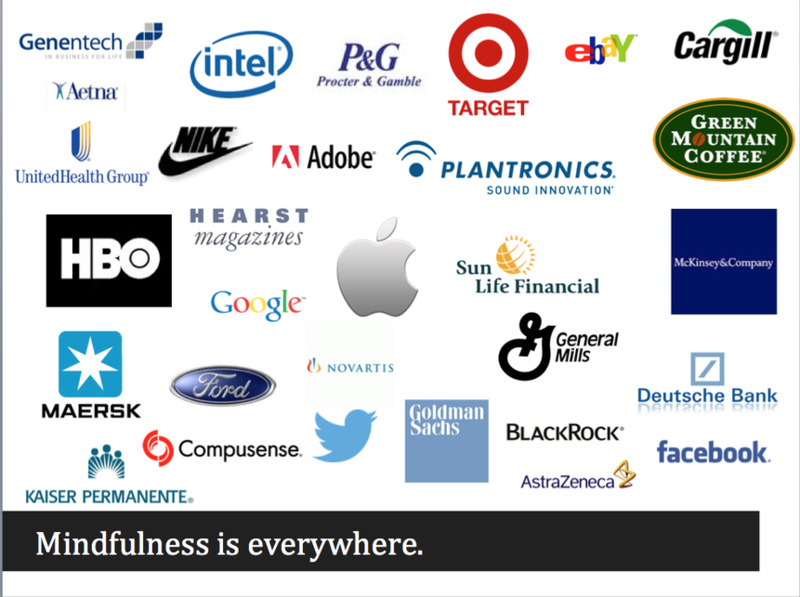 Prominent companies like Google, Apple, and Target are investing in mindfulness programs and incorporating meditation into daily work schedules in an attempt to improve productivity and overall employee health. 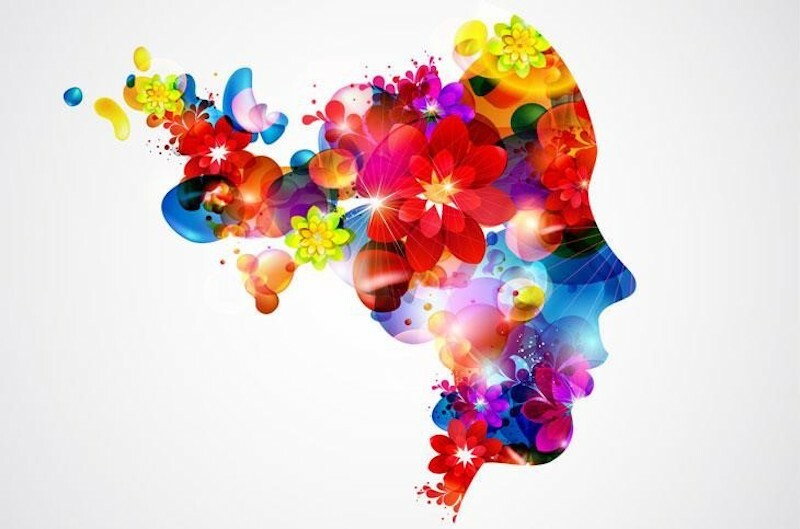 Savvy CEO’s have acknowledged that with mindfulness the brain opens to new ideas, stays tuned in and aware, and improves mental capacity and accuracy. Aetna went a step further and created a Chief Mindfulness Officer role to improve the wellness of its employees. Employees are your most valuable asset and they are the number one reason why workplace wellness is important. Reinforcing healthy behaviors through a supportive work environment will keep them motivated and productive. As an employer, you have a responsibility and an opportunity to make a difference. When your employees feel good, they are able to work more effectively and efficiently. By reducing health risks and improving the quality of life for staff members, you will be supporting your employees’ wellness and in turn cultivating a high energy workforce. Mounting job pressures, financial matters and health concerns are among the leading causes of stress in the US; all of which will negatively impact your employees personal and professional life. Over 70% of people in the US regularly experience physical and psychological symptoms caused by stress. If allowed to, stress will get in the way of your potential to live anything but a fulfilling life. If it continues for a prolonged period of time, it will become hazardous to your health. Because the conscious brain can only hold one thought at a time, multitasking when it comes to paying attention is a myth. Your greatest weapon when dealing with stress will be your power to choose one thought over another—this is how mindfulness helps stress. 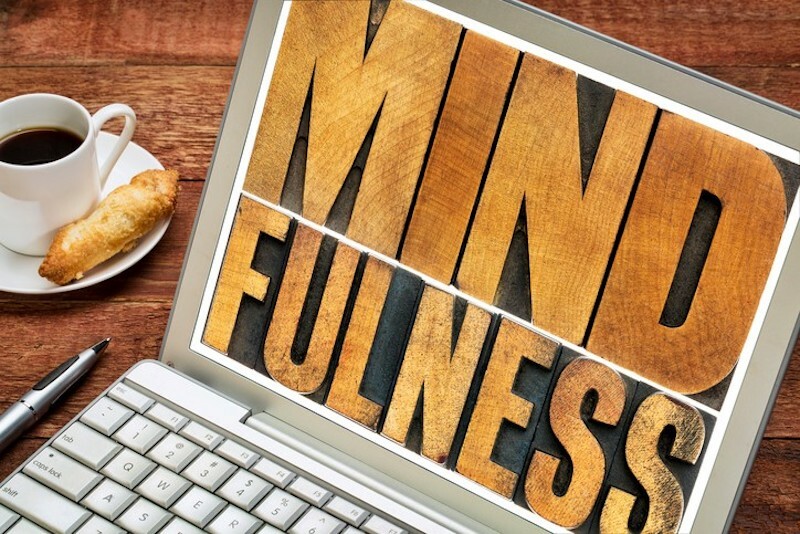 More than ever before, the business world is abuzz with the concept of mindfulness; and busy professionals, working in complex business environments are taking notice. Amazed by the powerful benefits this ancient modality offers, they are incorporating mindfulness into their growing wellness programs. Backed by hard science, research provides strong evidence that the present-moment awareness of mindfulness changes the brain. Enhancing your level of consciousness, it’s like Miracle-Gro for your body’s extraordinary data processor. 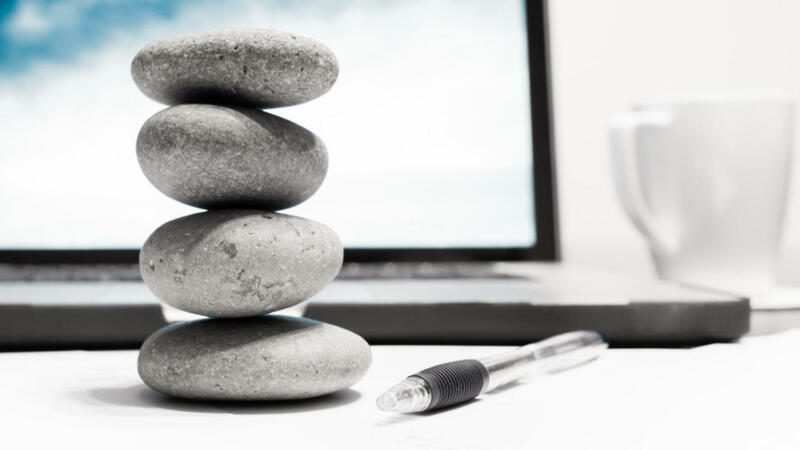 Accommodating your workforce by offering mindfulness classes in-house, you are providing a supportive environment and can begin employing mindfulness to develop a competitive edge. Encouraging your mind to look at things from a different perspective, it can deepen creative expression, build stronger work relationships, and sharpen critical thinking skills. Try practicing a mindful meditation technique for a few short weeks. I assure you, it will change the banter in your head from chaotic to calm. What mindfulness does to the brain will astound you.